Only 7 club teams have 'formally' entered but Pete has indicated that Ringwood might still be able to enter a team. As New Milton have not entered a team this year I am more than comfortable if Ringwood wish to 'borrow' players from New Milton (hence I have copied in Barry Jolly). 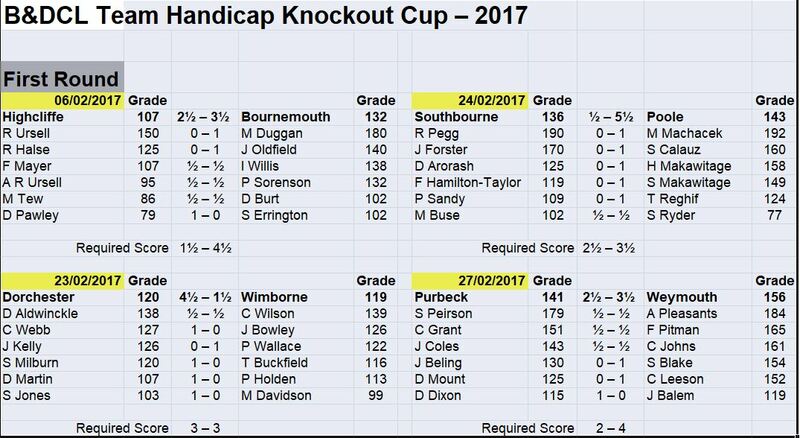 However, accepting that Ringwood may not be able to raise a team, this could mean last year's champions, Poole, receive a BYE. This would then be consistent with the World Championship where the current champion, Magnus Carlsen, only plays in the later stages! The 1st named team has the choice of venue. In view of the likely traditional poorer winter weather conditions I have once again regionalised the pairings for the 1st round to help reduce travelling for the away team. Also, I have ensured that teams have been paired against a different team than in any of the first rounds of the previous two years. Hopefully people's email addresses will be obvious based on this distribution. Please can you ensure all matches are played by Friday, 1st March 2019. This gives you just over 6 weeks to play the match. 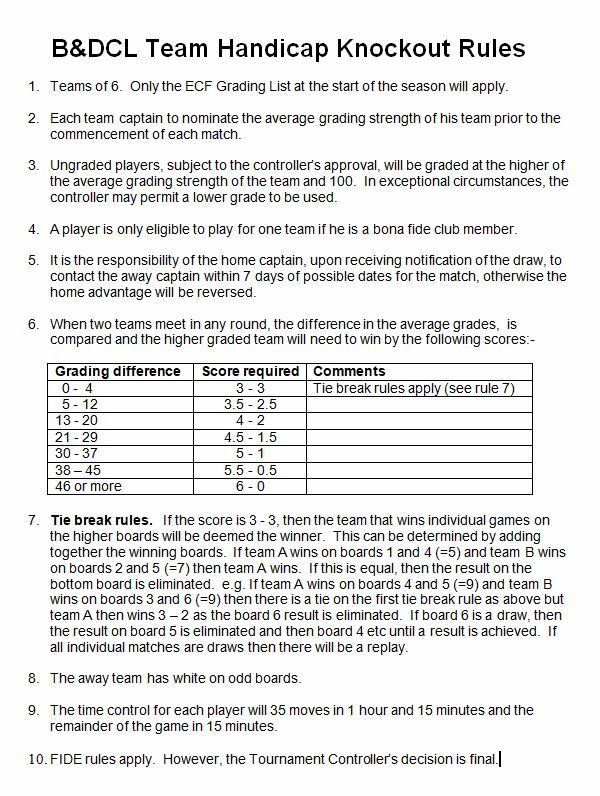 Please remember that you can select a different average team grade for each of the rounds without penalty so this will mean there is no pressure to play the same 6 players in each round and also gives each club more flexibility when selecting teams. The handicap system is designed to give clubs who play with a lower average team grade a sporting chance to win the match. Could all home captains please contact the away captain within 7 days to agree a date. Please contact me if you are having any problems or if you have any questions. 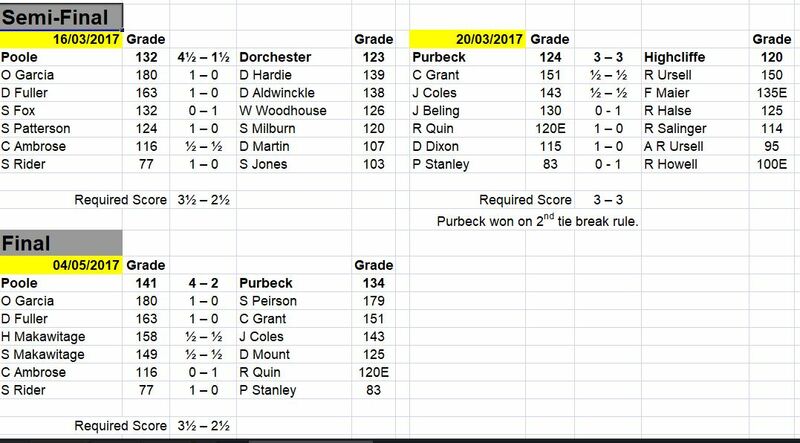 Well done to both Poole and Wimborne for producing an entertaining final played in a competitive, sporting and friendly manner. Also, many congratulations to Poole for winning it. Poole Chess Club seems to have swept the board this season by winning 5 trophies out of the 7 leagues and cups they have competed in so well played Poole, probably the best season they have ever had, and possibly the best ever season for any club! My understanding is that the Final went to the last individual match to finish so a very exciting yet tense affair. 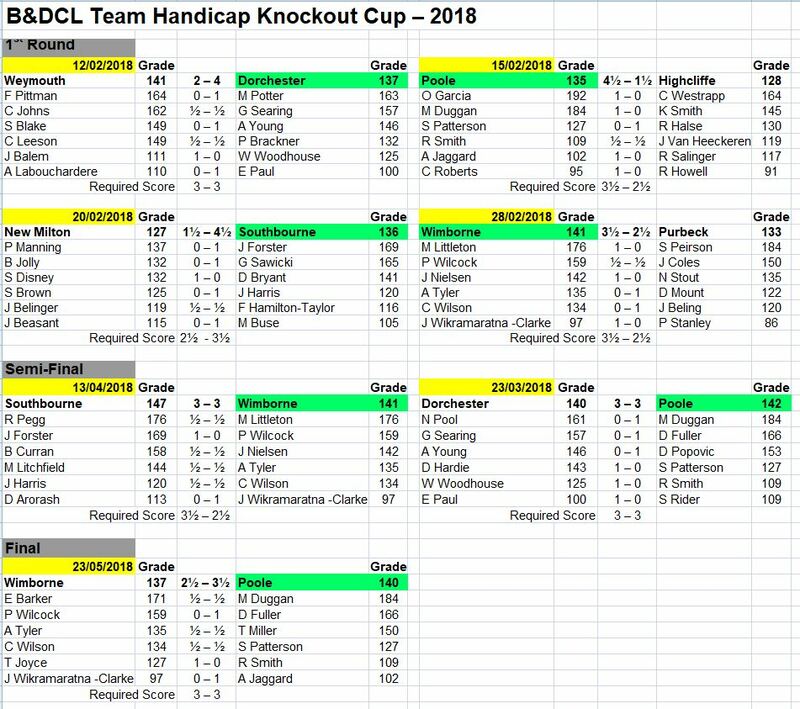 Please see attached document for the full set of individual results, not only for the final but also for all matches in this year's cup competition. ​These results have also been recorded on LMS on the link below. Interestingly enough, in this year's competition, all the semi-final and final matches were won within a half point of the required score and that, in all 7 matches, the away team won 5! My thanks to all captains and players for making this competition so exciting and so easy to manage. Let's hope next season's competition is just as fun! The grades at the start of the 2017/18 season will be used.